Lucky you that a Word has found you already – I am still awaiting for a Word. 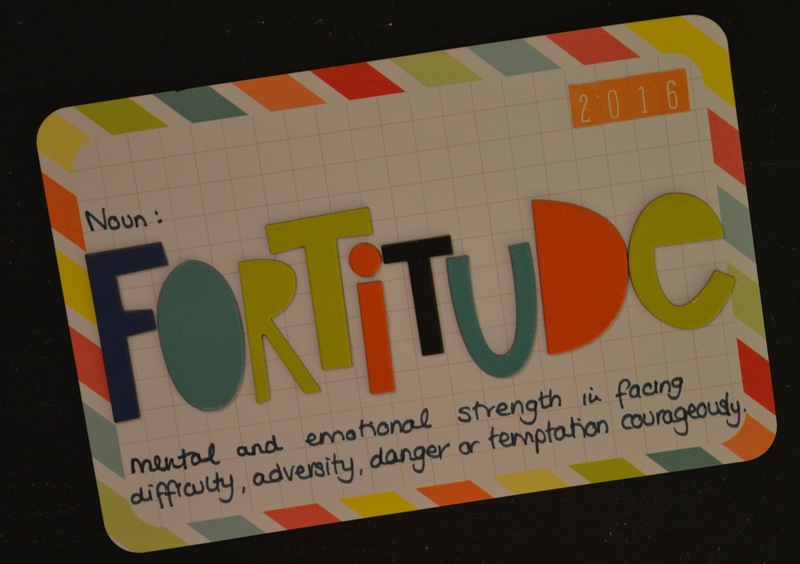 Fortitude is a great word but I do hope your 2016 has few difficult or adverse things for you to stretch out on this word – wishing you only the best for 2016! What a great word, Ruth – and your lettering already has a feeling of solidity and strength. Hoping you find it a great support and comfort in any challenges ahead. I am hoping that you will not need to draw on this word too much in 2016! You may not realise it, but to an outsider you seem to have fortitude and resilience in bucket loads so I hope you find it not too difficult to incorporate into your life this year. That's a great word – full of strength, just like you!